How to improve your photography? To participate in photo assignments and contests is a great way to improve your skills while getting inspired by the work of others. The end of the month is approaching fast, please take some time and stop by the contest forums and vote for your favorites. While, you are at it, please go ahead and participate with your own shots in the January 2019 contests, see below for more information on our various themes. One of the strong points of the Nikonians community is our ability to come together and help each other become better photographers. Learning, sharing and growing together we increase the joy we find in photography. I feel that the Nikonians Photo Assignments are a hidden gem within our community. Participation in the assignments is a wonderful opportunity for both beginners and advanced photographers to teach, learn, and to expand their photographic horizons. The assignments challenge new photographers to build both technical, compositional, and artistic skills. More accomplished photographers will benefit from the assignments by tackling challenges that are outside of their usual photographic genre and expanding their skills. 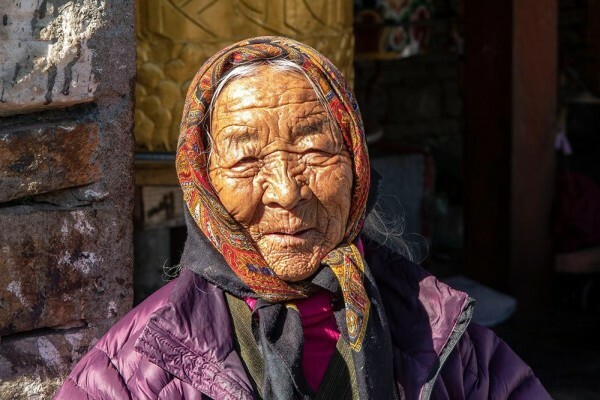 Old Lady at National Memorial Chorten, Thimphu, Bhutan by Robert Wyatt (sulkyrob). Learning: Can our Ability to Respond to a Scene Improve Over Time? Let see how wildlife uses camouflage to hide in their environment. This is a contest for Early Birds or for the Photographer who stays after all the others have gone home. Images have to be taken very early or very late in the day with the sun just above the horizon in the Blue Hour or Golden Hour (depending time of day). You can choose to have the sun in the picture or not. Dragonflies and Damselflies are some of the most interesting and varied subjects for macro photography with interesting patterns and colors. Please submit your finest images of places taken round that corner, down that alleyway, over the next hill brow etc. Let's see pictures that portray a sense of intrigue about what may be just out of sight. As the community for Nikon users, together we are making photography better: We know that through our continuous dedication to help each other, no matter skill-level or background, we become better. Learning is so much easier and much more fun together, letting us inspire each other and share our joy, and sometimes mistakes. Join our fundraising - With your support, we can improve the community further.